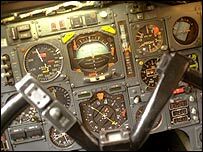 Explore the cockpit and passenger cabin with chief pilot Mike Bannister and frequent flyer Sir David Frost. Concorde's designers put together an aircraft that was a triumph of innovation. The chief engineer on why he has "one of the most exciting jobs in the aviation world". Air France makes its final Concorde flight from New York to Paris. What are your memories of Concorde?